Here we are at the end of yet another week, finally winding down and getting ready to enjoy some of those video game thingies we seem to talk about so much. As always, team Nintendo Life has gathered around to discuss our gaming plans for the weekend, and we’d love for you to get involved in the comments and poll sections below. Enjoy! Amazingly, for the second weekend in a row, I’ll be spending my time actually interacting with other, real human beings. I have a friend staying over for a while, so I imagine any gaming time will naturally be spent playing the Switch’s top multiplayer hits. For us, that’s usually things like Mario Kart 8 Deluxe and Super Smash Bros. Ultimate. Sure, they’re the boring choices, but sometimes you just can’t beat Nintendo’s biggest and brightest. This weekend, time permitting, I’ll be diving into the Labo VR Kit. News that Super Mario Odyssey and Zelda: Breath of the Wild are getting some manner of VR update was the tipping point and I pre-ordered a game for the first time in… 20 years?! The last thing I remember pre-ordering is Donkey Kong 64 with the Expansion Pak. Having been blessed yet again with good fortunes from the East, I will be spending my weekend mostly with Super Robot Wars T. I’ve been a fan of the series since stumbling upon it on Super Famicom and it is a true luxury to have the latest, greatest entry in the series 100% in English. There will, as per usual, be some ARMS Party Crash Bash and Super Smash Bros. Ultimate amiibo action along with some downtime sessions of Switch ‘N’ Shoot, Super Star Path and the deliciously difficult Out There Ω: The Alliance. My game of the week is Dead or Alive Xtreme 3 Scarlet for no reason at all except my faint hope that Koei Tecmo puts an actual Dead or Alive on the Switch down the line since we know now for sure that yes, the system can handle all the necessary physics involved. This weekend, I’m picking up the full Labo VR kit and pretty much devoting all of my time to that. I’m a sucker for buildable toys – LEGO was my jam growing up – and considering each Toy-Con takes at least an hour to make, I should be set. I’ll also be having friends over the entire weekend, so I’m sure there will be some Mario Kart 8 Deluxe, Splatoon 2 and Smash Bros. Ultimate thrown in as well for good measure. Like many other Switch owners, I’ll be spending the next few days in virtual reality testing out the new Nintendo Labo VR Kit. Based on my own experience so far – I’m impressed. I went in with low expectations and have been pleasantly surprised. While it’s obviously not as good looking as more expensive products on the market, it’s equally as entertaining. 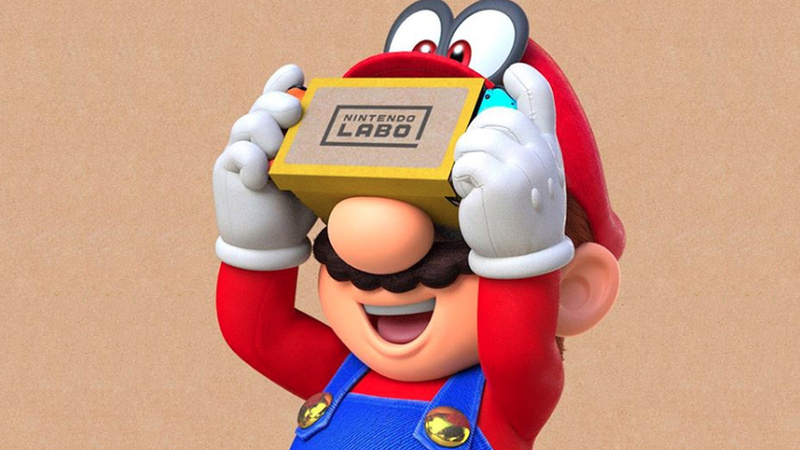 The Labo Goggles will also be a good investment if Nintendo continues to roll out free VR updates for older titles. When I’m not playing Labo VR, I’ll be working on a few cases in the Phoenix Wright: Ace Attorney Trilogy. To finally have this series on my television is a dream come true. That’s it for me this weekend.